Lifefactory’s glass storage collection is functional, versatile and vibrant. 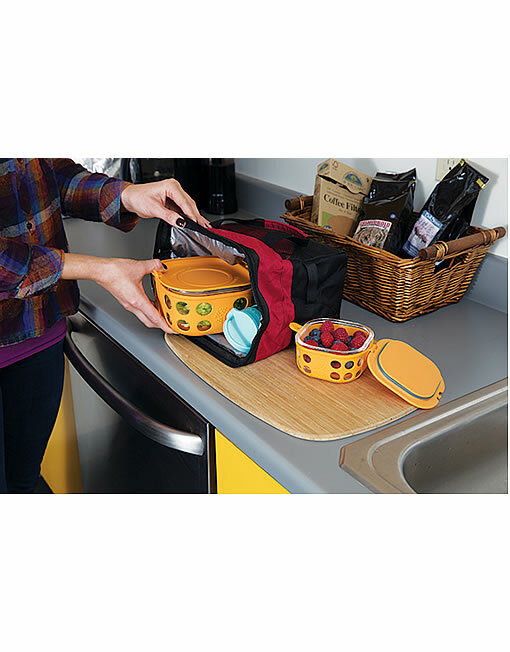 With three sizes, you can mix and match for taking healthy lunches to work or food dishes to potlucks or for storing leftovers in the fridge or freezer. 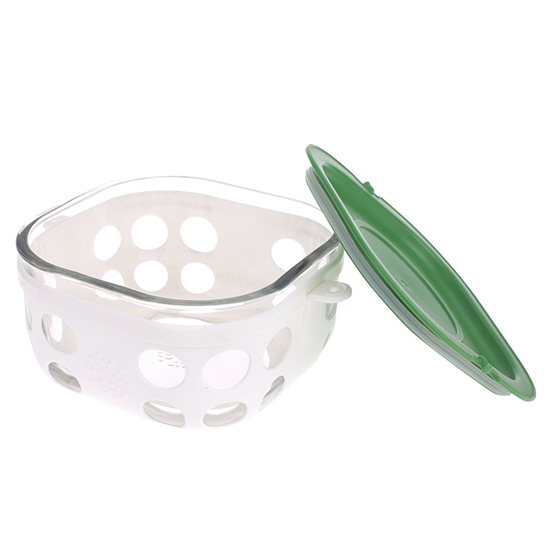 These glass storage dishes will add colour and design wherever they go – whether at the park for a picnic, straight to the table at dinner parties or in your kitchen cupboard packed with dry goods. 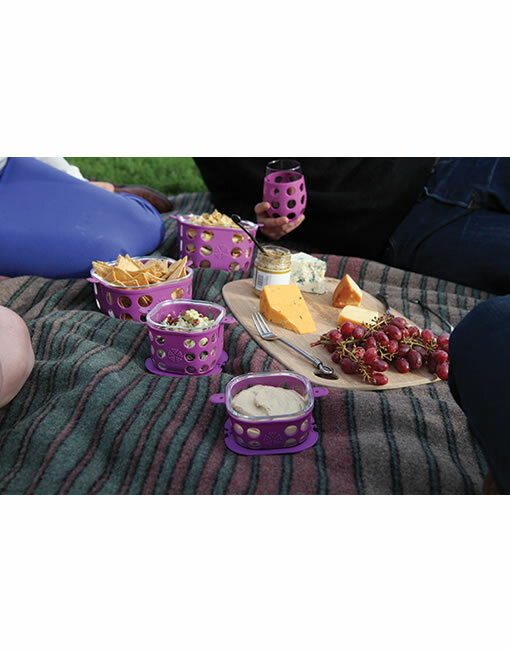 And their vibrantly coloured silicone sleeves also help prevent breakage if dropped and help with grip while holding. Ensure pure taste without a metallic or plastic tint.These also make awesome gift! 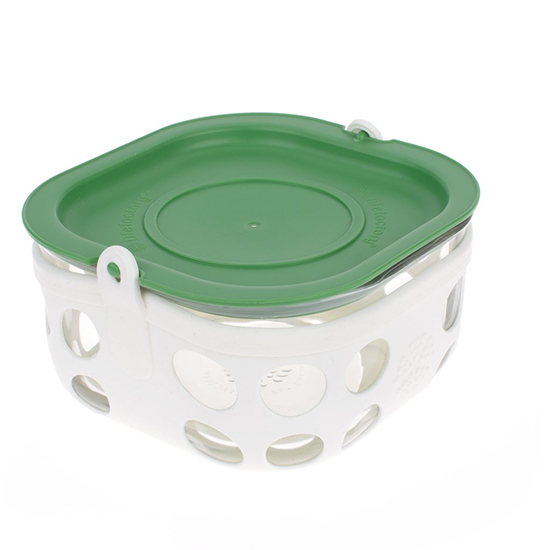 Lid Choice: Comes with Matching BPA-free Plastic Tab Lid. 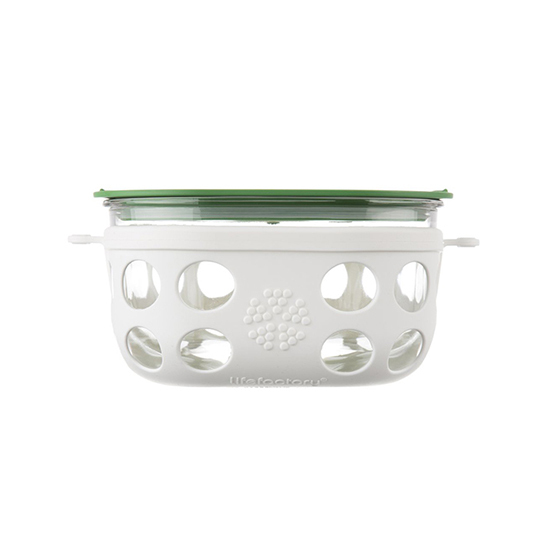 CARE: Hand wash with warm soapy water OR all parts can be put together in dishwasher; Lid on may be better on top rack.